Frank Sinatra sings … and he prepares to sing. Nothing else. One of the things I learned was that Frank Sinatra does not move pianos. Frank has other guys who do that. Frank does only two things, Dan says. Frank Sinatra sings, and he prepares to sing. That’s it. Dan has a concept he calls “Unique Ability.” This, he explains, is the entrepreneur’s gift. It’s her singular talent, the one thing that she brings to her business that nobody else can bring. Steve Jobs had a Unique Ability. You have it too. In many ways your job as a writer or an artist is to find out what your unique ability is and then organize your day, your month, and your year in such a way that you maximize your time exercising your unique ability and minimize or outsource everything else. In other words, Dayan brought something unique to the table. No doubt it was hard to define. It was an intangible. Vision, perhaps. Charisma. Whatever it was, he understood it and so did everyone around him. 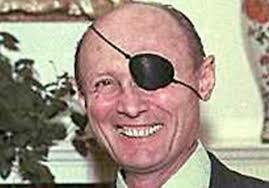 His soldiers did not want Moshe Dayan to move pianos. If he tried to move a piano, his officers would have tackled him and dragged him off the stage. They wanted Dayan to command, to do what he could do that nobody else could do. 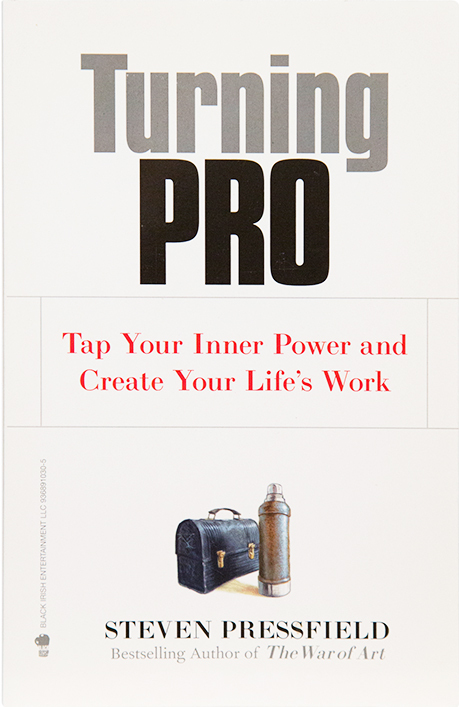 Dan Sullivan, when he speaks of unique ability, is not thinking specifically of writers or artists, he’s thinking of entrepreneurs. He’s thinking of Larry Ellison or Sergey Brin or Steve Jobs. But the concept applies, I believe, more to writers and artists than to anybody. Stephen King has Unique Ability. And Tom Wolfe and Harper Lee and J.D. Salinger. Each of them brings something to the party that nobody else can bring. I have something, maybe more than one thing, that I can do better than anyone else in the world. So does my friend Randy and my friend Victoria. So do you. My friend Mike just showed me a manuscript he’s been working on for five years. The pile of pages was a foot high. Mike’s book had created an entire world, down to the most minute details. He was, in the arena he had envisioned and brought to life, the best in the world. He was Frank Sinatra. As writers and artists, our unique ability is our voice. Our peculiar, idiosyncratic point of view. Our sense of humor, our sense of irony, our one of a kind vision of the world. The truth is we don’t know what our voice is until we sing once, and sing again, and sing again and again. I’ve said before that I had no idea what books would come out of me until they came, and when they did, I was more surprised by them than anybody. Our voice is there already. Our Muse knows it, even if we (so far) don’t. We reveal it to ourselves and to the world through work. By following our creative heart and seeing what comes out. The Professional Mindset is about NOT moving pianos. It’s about finding that unique voice that is ours alone. Frank Sinatra sings, and he prepares to sing. 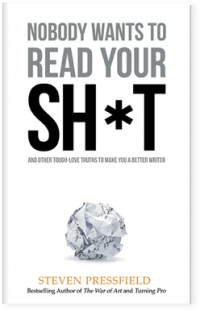 This post spoke to me as few do, confirming that I should dump the business end of writing. I don’t want to spend my precious few years here designing book covers, or posting blogs, or promoting myself. I want to spend my time creating work in the hope that I might move a kindred spirit. Rather than a piano. What a wonderful legacy to leave behind. While I am not a writer, your post has inspired me to think ways I can leave something behind. I wish you great success with writing! I can believe that Frank Sinatra did not move pianos, but don’t many exceptional people engage in activities unrelated to their main work simply to flex other muscles or to cross-fertile across activities? I remember reading that Richard Feynman, in addition to his work in physics, played drums, painted, and picked locks. I am a teacher. I also continue to undertake the learning of new skills I will never teach in large part to keep remembering afresh how it feels to be on the steep part of learning something new to me. And I do stranger things too on a regular basis that I think make me better at what is the focus of my professional attention. I believe that the post isn’t about trying new things specifically. It is about finding out what “gift” you have and focusing on that instead of a prescribed or inherited activity. 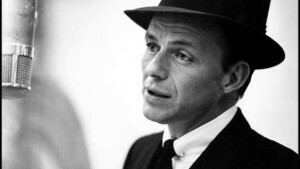 Steve isn’t saying that moving pianos is below Sinatra’s efforts, or that Sinatra would be ill suited to moving a piano, I believe the message is that Sinatra gets more return on invested energy by focusing on singing versus other activities that surround the entertainment business. That is what I gathered from the blog post. So invest your time wisely (the only true finite commodity you have) by focusing on discovering, defining and developing your “gift”. Raymond, I get what you’re saying. I think it’s good advice. I also believe that putting a project down — whether it’s writing, audio engineering, whatever — and distracting yourself with something else for a while can give you the distance required to come back and look at your work objectively. That’s difficult to do if the language, dialog and atmosphere of your story are still kicking around in your head. But if you put the project down for an afternoon or a day, and come back to it, it’s much easier to look at your own work from the objective standpoint of a reader and make the necessary adjustments. For Sinatra, that probably meant going out to a nice meal, having some gin and tonics, maybe a bit of gambling, haha. He didn’t have to lift the piano, but he could do other things. I just adore the way you sing on this blog. Before I sound like a Pressfield groupie I’ll simply say, thank you. Someone asked Frank Sinatra how come he sings almost any song better than anybody else. How scary is this? I’ve actually begun to organize my weeks around reading your Writing Wednesday posts! I don’t want to start sounding like a Pressfield groupie either, so I’ll leave it at that :). My favorite line this week? “The truth is we don’t know what our voice is until we sing once, and sing again, and sing again and again.” Thank you! Small world indeed. I was in Dan’s program for about eight years and learned so much, as I do right here, and from your books. The idea is to maximize focus time and ideally limit buffer time to preparing to sing, not to activities like moving pianos. As entrepreneurs, we are not tied to the traditional bureaucratic time system and can structure our day as we wish to find our voice and make the most of that unique ability. 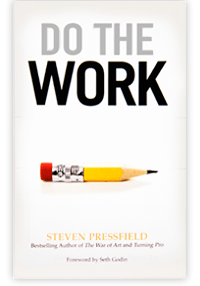 Doing the work is one thing. Doing the right work is where the magic happens. I am interested in the “rejuvenating” part of this equation. I would think it is different for everyone, but are there some general principles involved? Good question Susanna – The group met quarterly and one of our activities was to plan the next quarter. The first thing we did was to plan our Free Days because the quality of Focus Days suffers if you don’t take time to rejuvenate. Most people vacations and so on when they get around to it. The idea was to make that the top priority. The intent of Buffer Days is to minimize them by cleaning up “messes” once and for all by improving systems or delegation. Billy Wilder once said of Marilyn Monroe: “She walks and she stands still.” Same idea as no one else could do that the way she did – not Frank, not Moshe Dyan. I like this post – the notion that my voice is unique and that using it will grove it into recognizable form. It’s a hopeful idea for those of us tippy-toeing into this industry – seeing the crowd, noting a success and the plethora of failure. Who knows, I might be able to sing. Thanks for that. As much as I love these weekly writings of Steve’s, and yes, I believe I am a groupie also, it’s the comments and the sense of belonging I get each week. I’m going to look at my process differently (my art practice, more so). My CEO meeting with myself each Monday is working particularly well. Thanks Steve for another great post. Thanks again for all your work and generosity in sharing your creative strength. 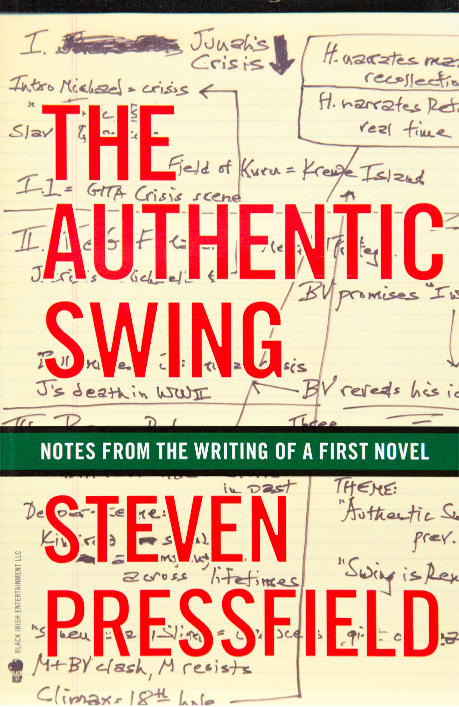 I just wrote to you, Steve, about wanting to writing like Jane Austen and while writing realized that I will end up writing like me. Do I know how scary that is? I can feel it. Hmmmm. I have always joked that I’m a Jack of all Trades … and the corollary to that fact. I began writing and making photographs early on and can’t imagine myself living without either passion despite the understanding that a million people can do both better. Though I’m no master carpenter, I like woodworking too. I’m about to build a workbench in my new place, so that I can resume building frames for my prints (from beautiful recycled Douglas fir). Of all my out of control hobbies, I’d maybe give up matting prints, if I could afford to. Then there’s the bonsai collection and garden design …. I have a new blank canvas to work on after the recent move. Specifically, I referenced that bit in “The War of Art” where you wrote about the difference between technique and inspiration, and the importance of developing technique so you’re ready when inspiration finally does come unexpectedly. I am glad to find it. There are so many bloggers working on piano moving but this is one of the best innovative post ever. It’s helpful blog. Thanks for such post.